Franz Josef was born in 1830. At the age of eighteen he became Hapsburg Emperor and in 1867, ruler of Austria-Hungary. Over the next few years his army subdued revolts in Hungary and Lombardy. Franz Josef suffered several personal tragedies. His brother Maximilian was shot by revolutionaries in Mexico and his only son, Rudolf, committed suicide in 1889. Nine years later, his wife, Elizabeth of Bavaria, was assassinated by an anarchist in Geneva. After the death of Crown Prince Rudolf, the succession passed to Franz Josef's brother, Carl Ludwig. When he died in 1896, his son, Archduke Franz Ferdinand became heir to the throne. This created a problem as Franz Ferdinand wanted to marry Sophie Chotek von Chotkova. Although Sophie came from a noble Bohemian family, she was not considered suitable to marry the heir to the throne. To be an eligibile partner for a member of the Austro-Hungarian royal family, you had to be descended from the House of Hapsburg or from one of the ruling dynasties of Europe. Franz Ferdinand insisted he would not marry anyone else. Emperor Wilhelm II of Germany, Tsar Nicholas II of Russia and Pope Leo XIII all made representations to the emperor on Franz Ferdinand's behalf arguing that the the disagreement was undermining the stability of the monarchy. In 1899 the emperor agreed a deal with Franz Ferdinand. He was allowed to marry Sophie but stipulated that her "descendants are not members of the most high Archhouse and possess no right to succeed to the Throne." Sophie was not allowed to accompany her husband in the royal carriage nor could she sit by his side in the royal box. Franz Josef and all of his family, marked their disapproval by refusing to attend the wedding. On 28th June, 1914, his heir, Archduke Franz Ferdinand, was assassinated in Sarajevo. Josef accepted the advice given by his foreign minister, Leopold von Berchtold, that Austria-Hungary should declare war on Serbia. 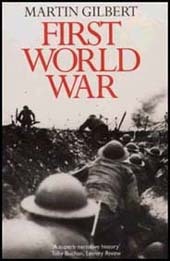 On the outbreak of the First World War, Josef allowed the military to take over the running of the country. 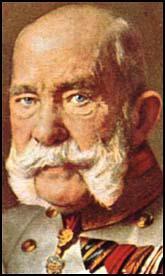 Franz Josef died on 21st November 1916 and was succeeded by his great-nephew Karl I.